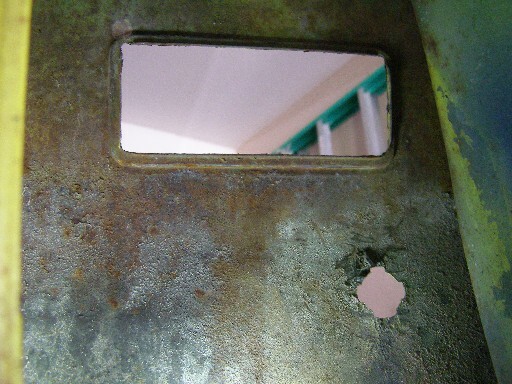 The first metal part I removed was the driver's door. Remember, that's on the right side. 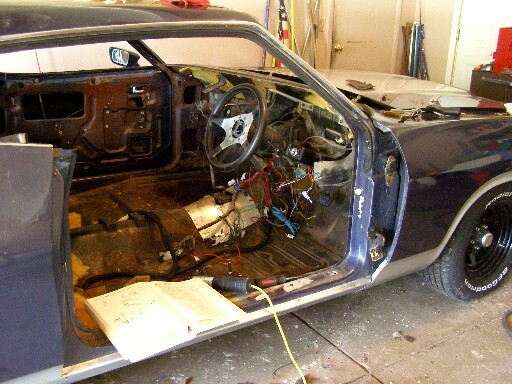 I took the door apart before I removed it. I removed all the window mechanism and handles and latching mechanism. I found the door is going to need some work. 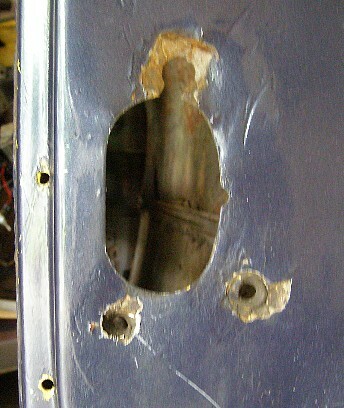 In this picture you can see the door handle and lock cylinder holes from the inside. These are in great shape and was something I was concerned about before seeing. That was the good news. 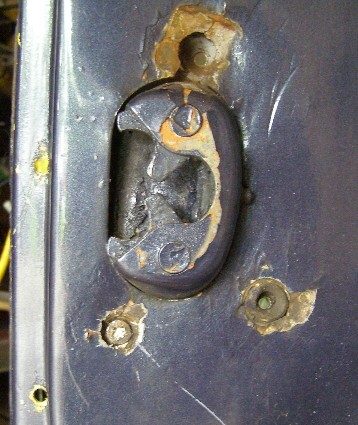 The bad news is that the door latch area has rusted away in some critical parts. A tip off was when I had to break out some plastic body filler to get to a screw that was covered and painted over (bottom left). As you can see in this picture metal work is going to have to be done to this tricky area. The holes in the new part have to be located just right. They also have to be countersunk in order to provide locating duties. Luckily I found a source on how to do this repair. In the years to come we will see how well I do. Now we will move on to the fender.